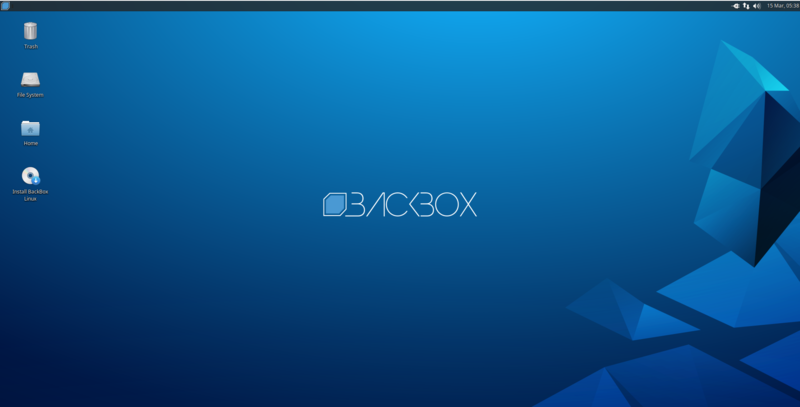 If you are well-acquainted with Kali Linux, some aspects of BackBox can be unusual for you. This collection of tips will come in handy and help to cope possible issues. Also these Tips and Tricks will be helpful for everyone who just started to study information security and ethical hacking with BackBox. Wireless interface wlan0 is absent in BackBox? The long string wlx00c0ca96cfcb is the name of wireless dongle. This string should be unique for every adapter and should be the same on different computers. Therefore, instead of wlan0, wlan1 and so on just use the actual name of wireless adapter, which looks like wlx00c0ca96cfcb. The update not only solves the problems, but also gives access to new functions and options. /usr/share/whatweb/lib/extend-http.rb:102:in `connect': Object#timeout is deprecated, use Timeout.timeout instead. /usr/share/whatweb/lib/extend-http.rb:140:in `connect': Object#timeout is deprecated, use Timeout.timeout instead. 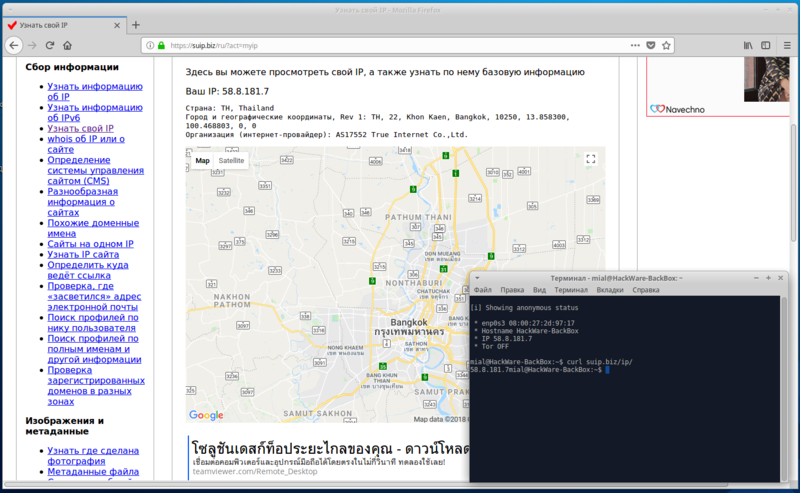 airgeddon is a very functional, yet easy-to-use program for security auditing / hacking of Wi-Fi networks. If you are an absolute beginner, then for you airgeddon is the easiest way to start. This program is by default absent in the BackBox, and there are also some dependencies that are required for it. To install all of this, run the following commands sequentially. Now the path to your dictionary is ~/bin/newrockyou.txt. A window will appear with a suggestion to install fonts, we should agree. Use the TAB key to move, press the ENTER key to confirm the selection. 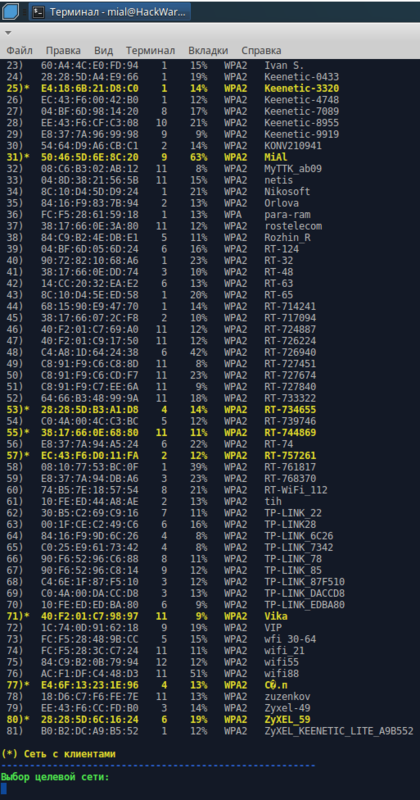 Now everything is ready and you can use, for example, Router Scan by Stas'M directly into the BackBox. The capture session could not be initiated on interface 'enp0s3' (You don't have permission to capture on that device). [string 7usr/share/wireshark/init.lua"]:44: dofile has been disabled due to running Wireshark as superuser. See https://wiki.wireshark.org/CaptureSetup/CapturePrivileges for help in running Wireshark as an unprivileged user. To apply the changes, restart the computer. Now the user is allowed to capture traffic from all devices that are available from the BackBox. The author is Anton Gorodetsky. If you do not know how to use the vim editor, then use any other text editor, for example, mousepad (in commands for opening files you can write mousepad instead of vim). Comment out all the lines in the Papers section (you can just delete the Papers section). 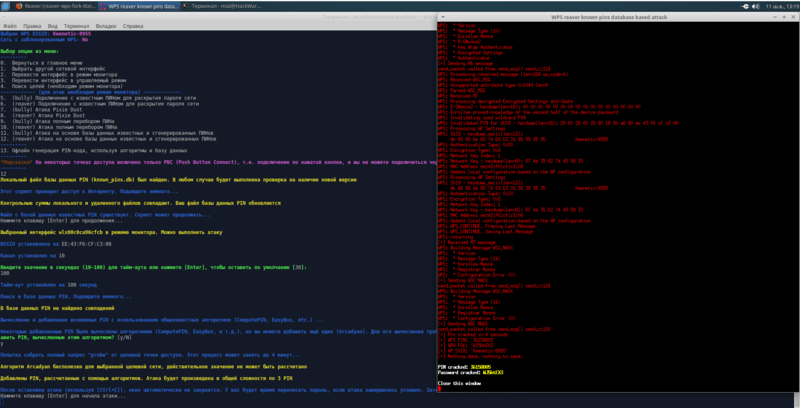 If you opened in vim, then press <Esc>, then type :wq (to save and exit) and press ENTER. After that everything started working fine, you could enter the password and continue on the login page, as it usually happens. Perhaps, if you do not encrypt the disk, then you do not need it. Press the <Esc> key, type :wq and press ENTER. 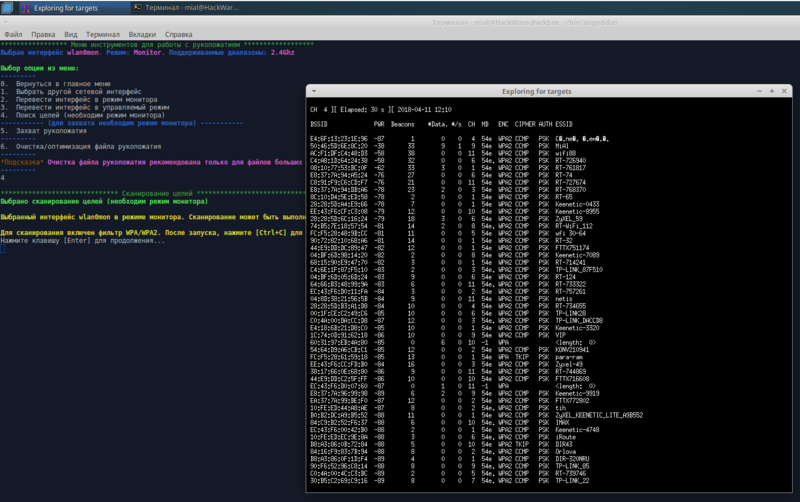 And for the end, just one screenshot where I tested if everything running fine. 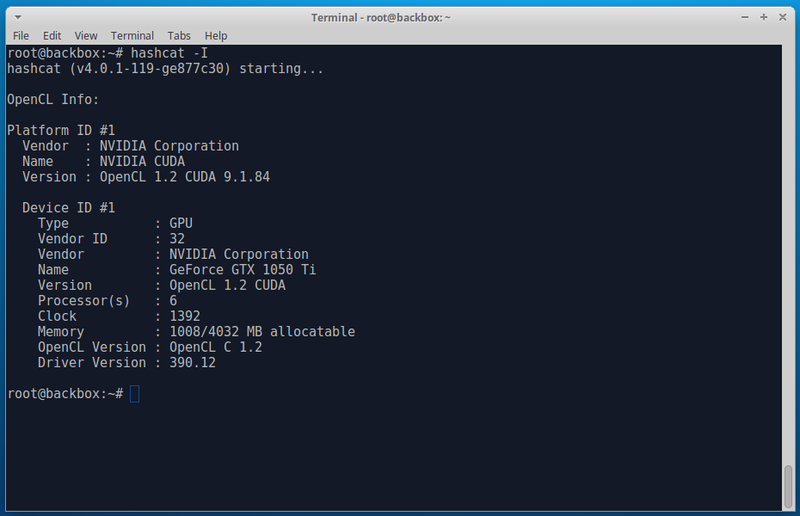 This instruction is for those who want while cracking passwords to be able to use the power of GPU (video card) instead of CPU. This method is for those who have nVidia graphics card and ones need to install the proprietary driver nVidia, as shown above. Press the <Esc> key, enter :wq, press ENTER. As you can see from the screenshot, my external IP address was defined, and it is also said that Tor is disabled. We are consistently asked a few questions that determine exactly how we want to improve our anonymity. Yes, the IP, the country, the Internet service provider have changed. Also note that the name of the local host (hostname) has been changed. 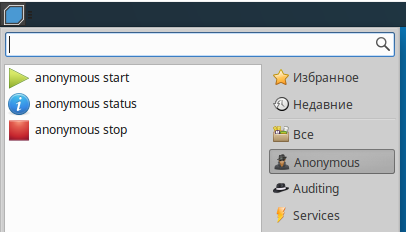 To stop anonymity, select ‘anonymous stop’ from the menu. You will again be asked a few questions. By default, the root folder for web documents is /var/www/html. In /var/www you can create your own virtual hosts. The /var/www/html folder and all the files inside it belong to the root user. So for you can modify, add, delete files in this folder, you need to use sudo. For example, with the following command, you open the file manager to manage the contents of the folder. All other programs that make changes to /var/www/html must also be running with sudo. 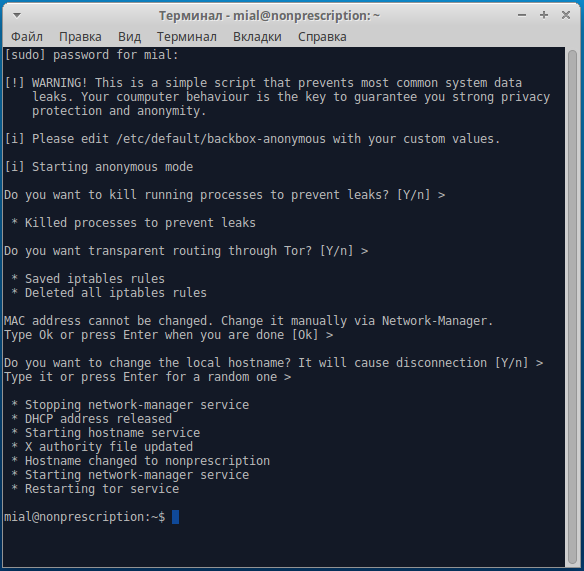 In BackBox, there are many programs for hacking wireless networks. They all have a different function and to work with them you need to study each program. The airgeddon script automates these actions - we do not need to type commands, just select menu items, and the program will launch various attacks; i.e. we did not waste time while installing airgeddon. They will close the applications (including Network Manager) that might interfere. The program has a simple interface, translated into different languages; you will see many hints while working with the program. A detailed guide ‘The easiest and fastest ways to hack Wi-Fi (using airgeddon)’. For airgeddon (and generally for Wi-Fi penetration testing) not every wireless dongle is suitable. For best results, the Alfa AWUS036NHA is recommended, supplemented with an Alfa ARS-N19 antenna. In principle, any card from this list is suitable, but for airgeddon it is recommended that Alfa AWUS036NHA, since it works without problems with Reaver for hacking access points with WPS; other cards can also be forced to crack WPS, but not in airgeddon.